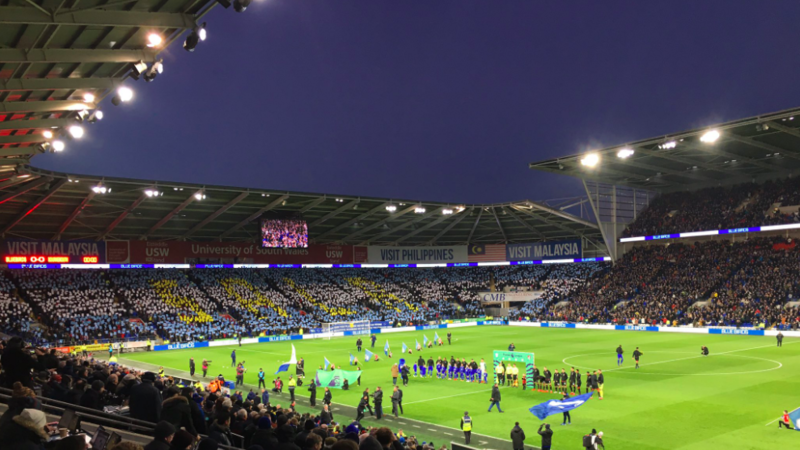 Today’s game marked the first home match for Cardiff since Emiliano Sala’s plane vanished from radar back in late January. Manager Neil Warnock in a press conference earlier in the week expressed just how much the recent events have impacted himself, the players and everyone associated with Cardiff City Football Club. But, his side would have to try to prepare and focus on the task at hand of coping with a very talented Bournemouth side. The Cherries headed into today’s encounter off the back of an excellent display against Chelsea, comfortably dispatching Maurizio Sarri’s men 4-0. The last time the two teams met was back in August last year. Bournemouth came away 2-0 winners at the Vitality, with Ryan Fraser and Callum Wilson on the scoresheet. In fact, Cardiff have failed to beat Bournemouth in their last four attempts, so there is motivation to put an end to the recent struggles. If a quick start was what the Cardiff boss was after, then he definitely got one. Sol Bamba did very well to win possession, and then had the vision to play through Oumar Niasse. A poor touch from Niasse allowed Artur Boric to come off his line and smother a shot from close range. 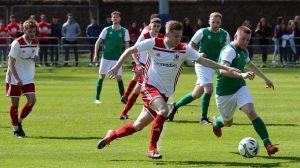 Cardiff kept up the intensity in the early stages of the match, and that would pay dividends when an off-balance Steve Cook was deemed to have handled the ball inside the area. Bobby Reid stepped up, and he delivered, sending Boric the wrong way and gave Cardiff a deserved lead. Just minutes later, the Bluebirds nearly doubled their advantage through Josh Murphy. Oumar Niasse’s pace was causing problems for the Bournemouth back-four, and he once again found himself in a great crossing position. He tried to square the ball to Murphy, but Boric was once again was quick to react. Unfortunately for Cardiff, despite the early dominance they lost control as the first 45 minutes progressed. Bournemouth settled, and began to showcase their passing game which has served them so well so far this season. Frustratingly for Eddie Howe though, even with significantly more possession, his side struggled to create meaningful chances on Etheridge’s goal. 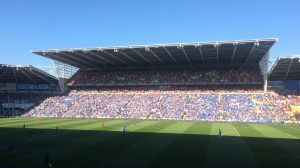 The Cardiff defence continued to remain resilient, but there was nothing they could do to stop Andrew Surman’s left-footed strike. So, they had the fingertips of Neil Etheridge to thank who saved Surman’s effort onto the bar and kept the score at 1-0 with a superb stop. With Callum Wilson and David Brooks absent, you could tell that going forward, this Bournemouth side were far from their most dangerous. Solanke and King could never really link up, and Ryan Fraser was handled very well in the first-half. The Bluebirds stood strong, and would head into the interval a goal to the good courtesy of Bobby Reid’s penalty in the 7th minute. The second-half couldn’t have started any better for Cardiff as they found themselves two up within seconds of the restart. Bobby Reid was played through and cooly rounded the onrushing Boric to slot home into an empty net. Bournemouth were caught napping, and were duly punished for it. Confidence was sky-high in the Cardiff team, and they went in search for a third goal. Josh Murphy might had been able to provided it, but he was cynically taken down by Nathaniel Clyne who picked up a yellow card for a bad tackle. Eddie Howe introduced Jordan Ibe and Lys Mousset in a bid to change the complexion of the game. The Cherries needed a spark as their attacking play was very lacklustre at best. The game approached the 60th minute mark with Cardiff enjoying a two goal lead. 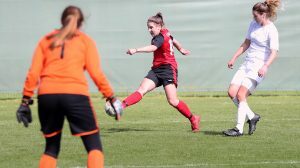 Where they may not have had the possession, the Bluebirds took advantage of the attacking positions they found themselves in. Bobby Reid in particular whose first-touch, link-up play and finishing were of the highest order. Cardiff’s pace going forward was great to see, as in previous games, their play on the break has been lacking. Niasse looks to have settled into his role up front, and alongside Murphy and Reid, that front three will cause defences a lot of problems. With ten minutes to go, Bournemouth’s Nathan Ake had a glorious chance to get a goal back for his side. He latched onto a wicked delivery from a free-kick, but the ball just went wide to delight of the Cardiff faithful. More assured Cardiff defending followed as they looked to close out the three points and also a welcomed clean sheet. Bournemouth lacked quality in a multitude of areas of the pitch today. Their defending was poor, and going forward looked short of ideas as they only tested Etheridge once early in the first-half. A strange, below-par showing from Eddie Howe’s men who you would have thought after beating Chelsea would have performed significantly better.  It has to be said though, Cardiff were excellent and fully deserving of their victory. For Sala. For David. A brilliant win for the Bluebirds.